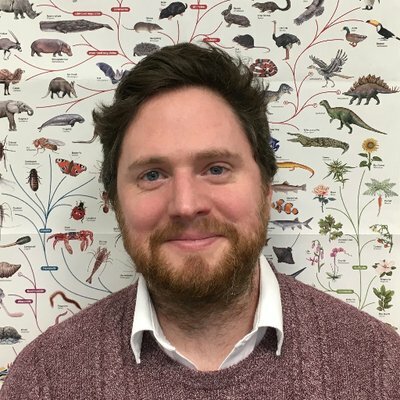 I am a palaeobiologist interested in using the fossil record to address big evolutionary problems such as the origin and early evolution of vertebrates, and the Cambrian diversification of animals. More broadly I am interested how macroevolutionary inferences are drawn from fossil data, particularly the role of morphology in phylogenetics and the role of preservation and incompleteness in shaping our understanding. To do this I use a range of techniques from phylogenetics, laboratory investigations of decay and preservation, and direct analyses of fossil material. As such, projects in my lab include both experimental and theoretical approaches. Supplementary material from "Differences between hard and soft phylogenetic data"